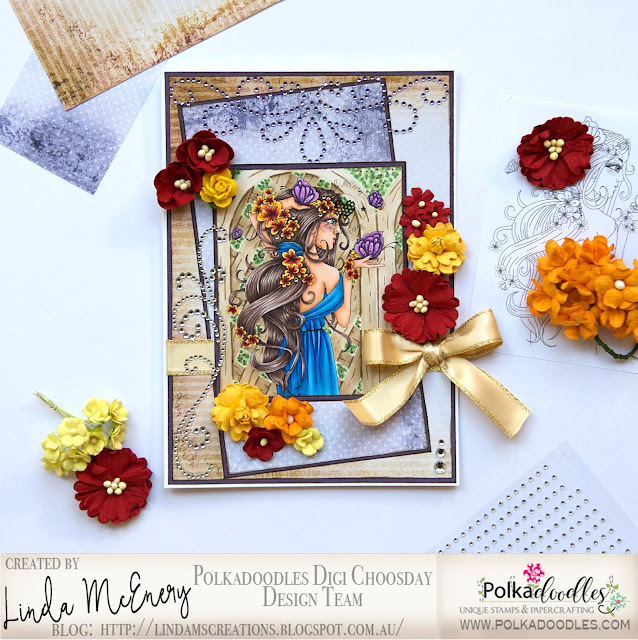 Linda - I've matched up Eden Blossoms from the Eden Collection with muted papers from the HelgaHippo Collection to create a peaceful garden scene for my card. Jane S - My birthday card for my sister-in-law is made using some gorgeous pre-coloured images from the Octavia Moonfly Collection and some of the brand new die sets. Can you guess how old she is?? Julie Reed - Well I love a bit of bling and sparkle, so I have used plenty on my project, glitter paper, spectrum noir sparkle pens and perfect pearls. I have used Eden Birdcage from the Eden collection. Julie T I couldn't resist using this adorable image for my Bling It Up project. The image is May Your Wishes Come True . I used paper from the Helga Hippo Paper Heaven 2 bundle. After coloring the image with copics, I colored her dress and wand with extreme glitter paint for some sparkle. I added gems in the flowers in her hair and the rhinestone ribbon slide also add some extra bling. 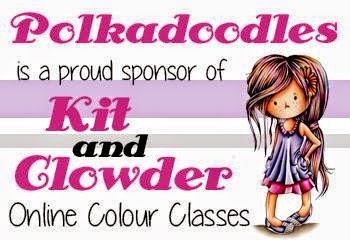 Jennifer - I've chosen the color version of Bella Bear Gift for my blingy creation today. 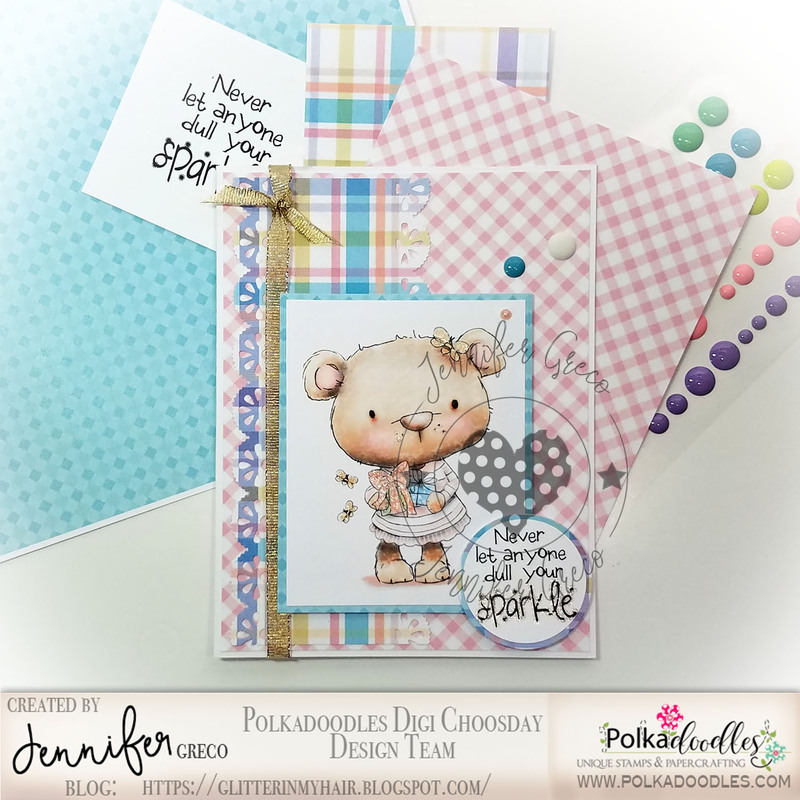 She's paired with papers from Winnie Celebrations 3-Papers 1, and Tatty Twinkles Easter (this is currently FREE! ), and the sentiment is a stand alone called Sparkles. I've added sparkle with a glitter gel pen over the bees, Bella's face, the ribbons on the gift, and the word sparkles, along with some glittery ribbon and some shiny enamel dots. 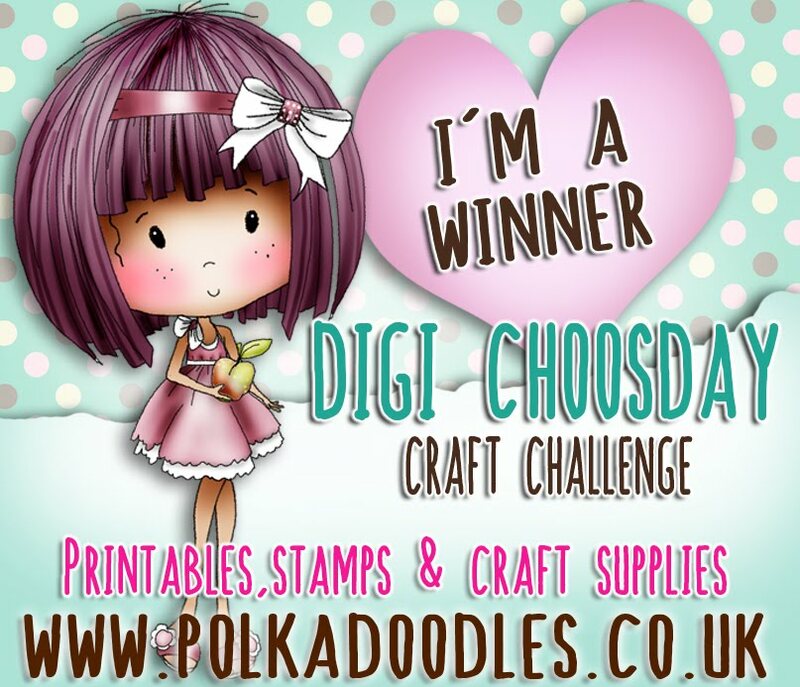 Please email us HERE quoting DCW33001to claim your prize of 3 digi images from the digi store! Guest Designer - This would be for an 8 week term and a total of 4 projects. 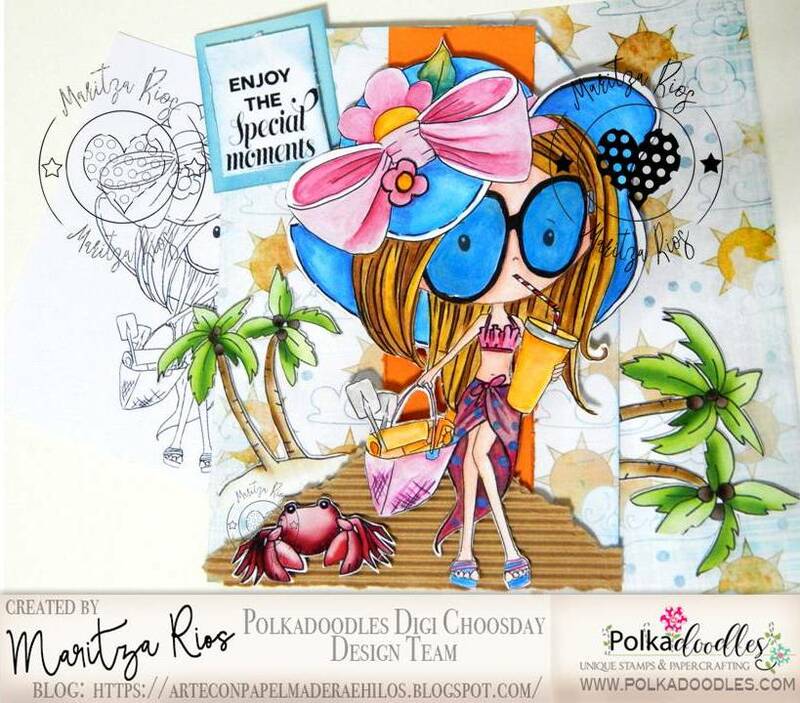 You must have a blog and be willing and able to share your work across social media. If you'd like to apply please let us know by email HERE, including a short bio and links to your Facebook profile and Blog URL so we can see your work.... Please title your email 'Digi Choosday GDT. Don't forget to check out all our latest releases in store - we have tons of new stuff - go check it out! 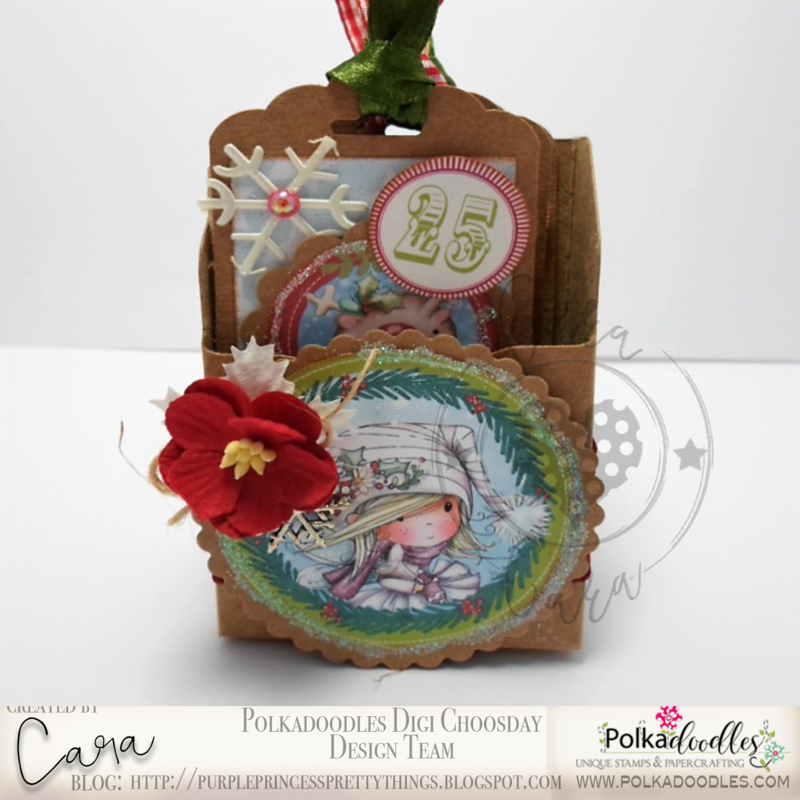 Cara Hi everyone, I loved this challenge, I knew I wanted to make tags with the super sweet Winnie White Christmas collection, so I scoured Pinterest for a little holder to pop them in. All of the elements come from the collection, I used the papers, Toppers and Sentiments only which you can purchase separately too! Katrina ~ I chose to make a Christmas mixed media piece by Copic coloring Delivering Gifts by Sledge from Winnie White Christmas. 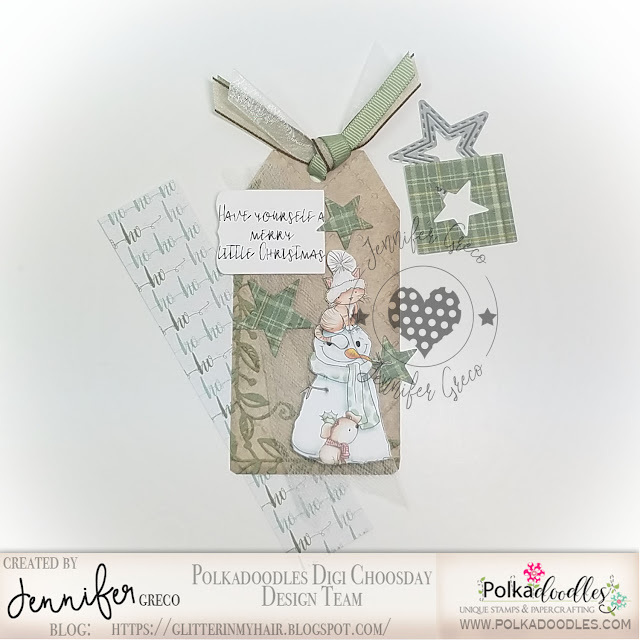 I added snowflakes and tags from Winnie Winterland and a sentiment from Winnie Special Moments. Rose ~ Hello ladies, it' been a while! 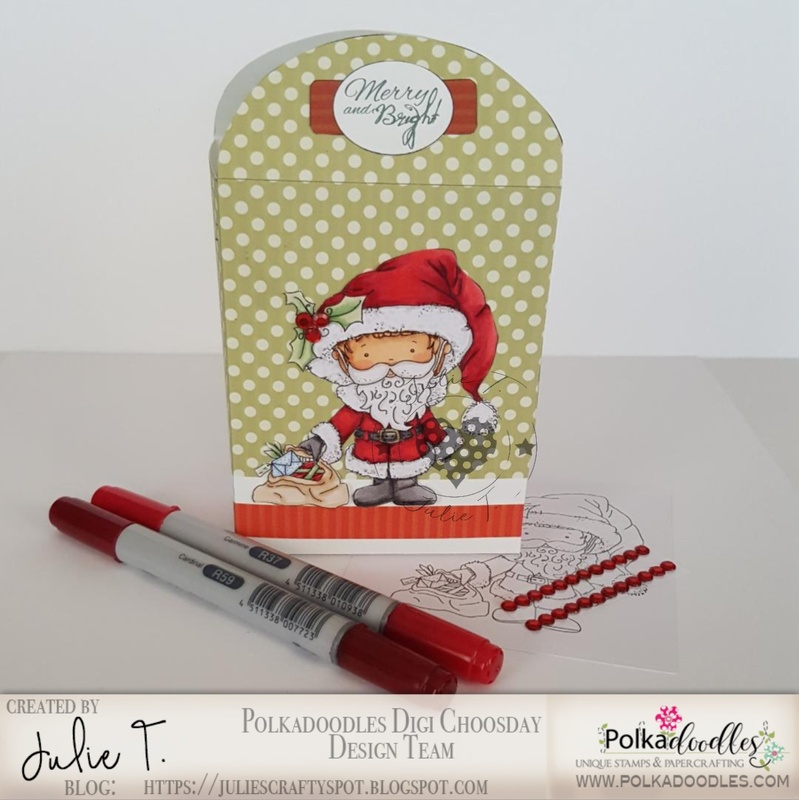 I love making Christmas projects, today I am sharing Fry Box filled with candies. I am using Winnie Winterland - Design Sheet 9 with pre-colored tag and applied lots of clear crystal glitter. I have fussy cut out Christmas trees and handmade flowers. Jane P- This weeks creations for "Not a Card" I decided to incorporate a few different collections. Horace & Boo and Helga decided that they wanted to start the season early with a bit of caroling in a Festive Christmas scene. Check out my blog for more photos. Sue Hi, today I've made a Christmas hanging using the wonderful winnie-winterland-big-kahuna-digital-craft-download . There is so much on here, all I added was a little cardstock and glitter glue. Please email us HERE quoting DCW32001to claim your prize of 3 digi images from the digi store! 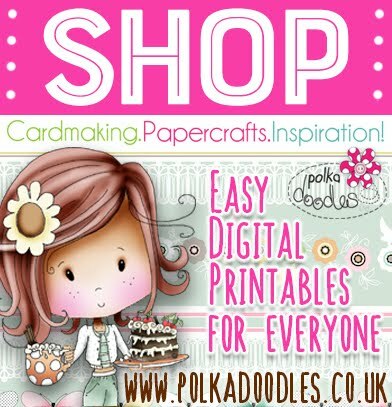 Don't forget to check out all our latest releases in store - we have loads of new Clear Polymer Stamps, paper kits and 1000s of digis to choose from - go check them out! 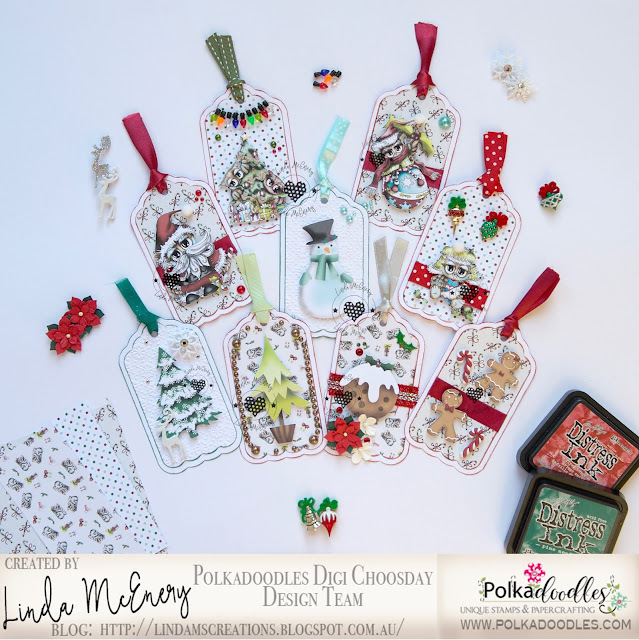 Maria: Hello for the realization of this Tag .I used the Kit Winnie White Christmas BIG KAHUNA. 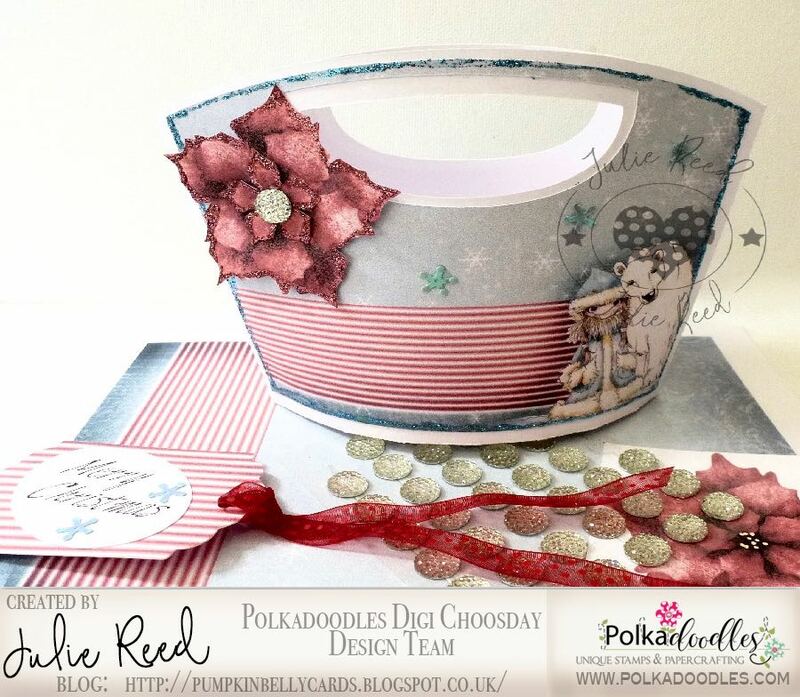 Julie T- I used one of the box patterns from the Work and Play Hollybobs kit. The sentiment and the Santa are also from the kit. 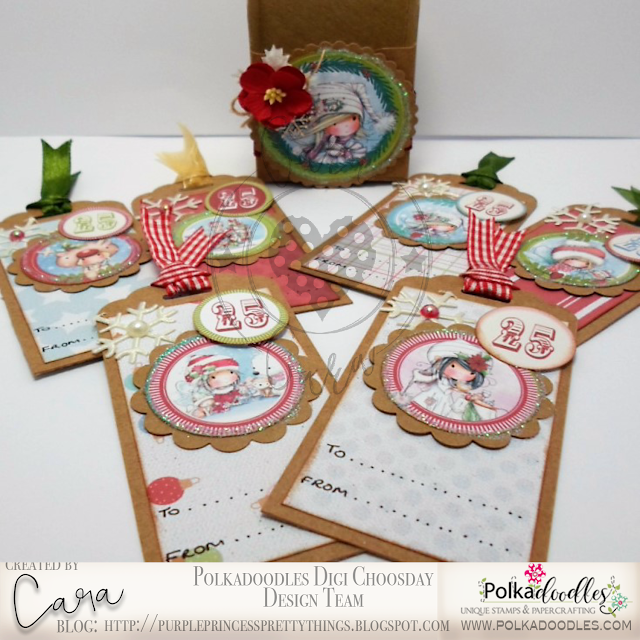 Linda - I love making tags - they're just quick and easy mini cards! Especially when you use pre-coloured images! 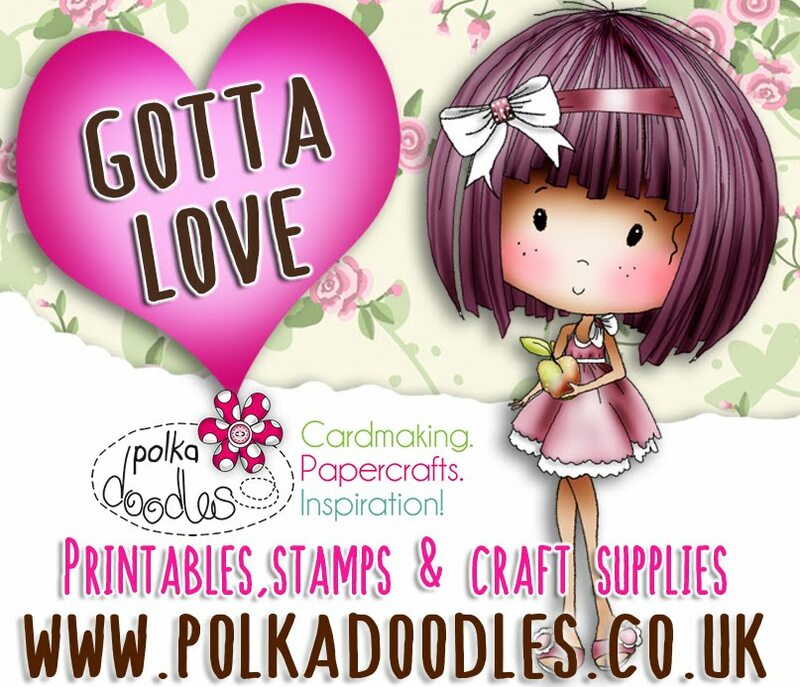 I've used images and papers from the Twiggy & Toots collection plus paper from the Baked With Love collection on a few. Željka-Hello!! 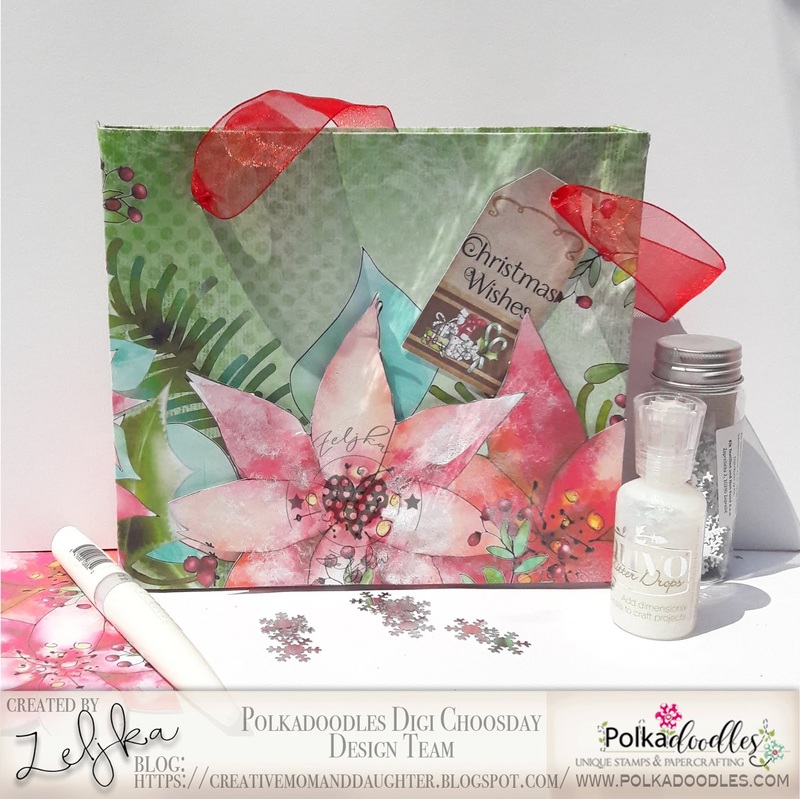 For this week I made gift bag for my task and to made it I used papers from Winnie Winterland - Paper Heaven 5 and tag and sentiment from Winnie White Christmas BIG KAHUNA. 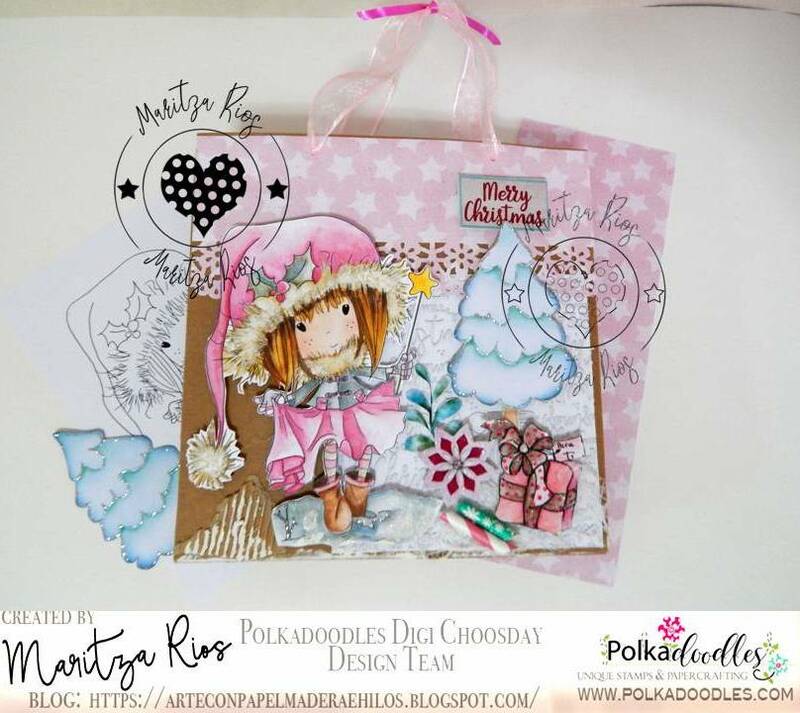 Jane S - I have covered a kraft carton with papers from the scrummy Baked With Love Download Bundle and added the beautifully delicate Fancy Snowflake Die in mirri and glitter card for added bling! Jennifer - I've made this fun Christmas tag for today's inspiration piece. 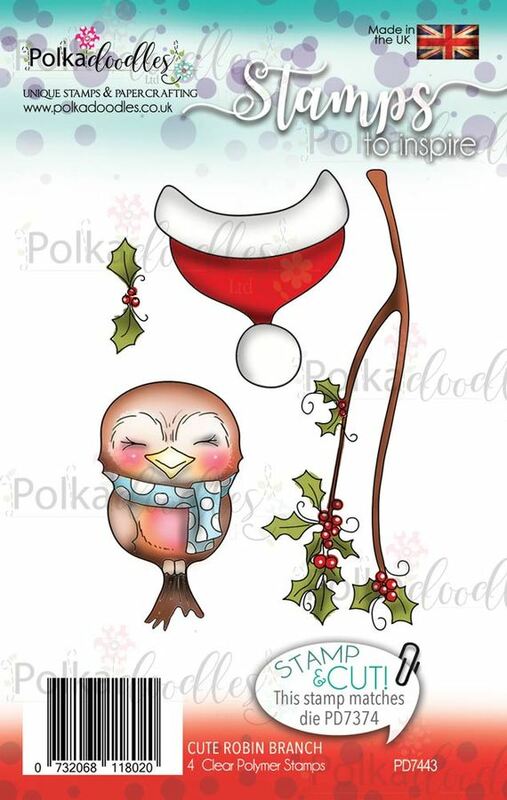 I love these sweet Christmas critters from Winnie White Christmas. 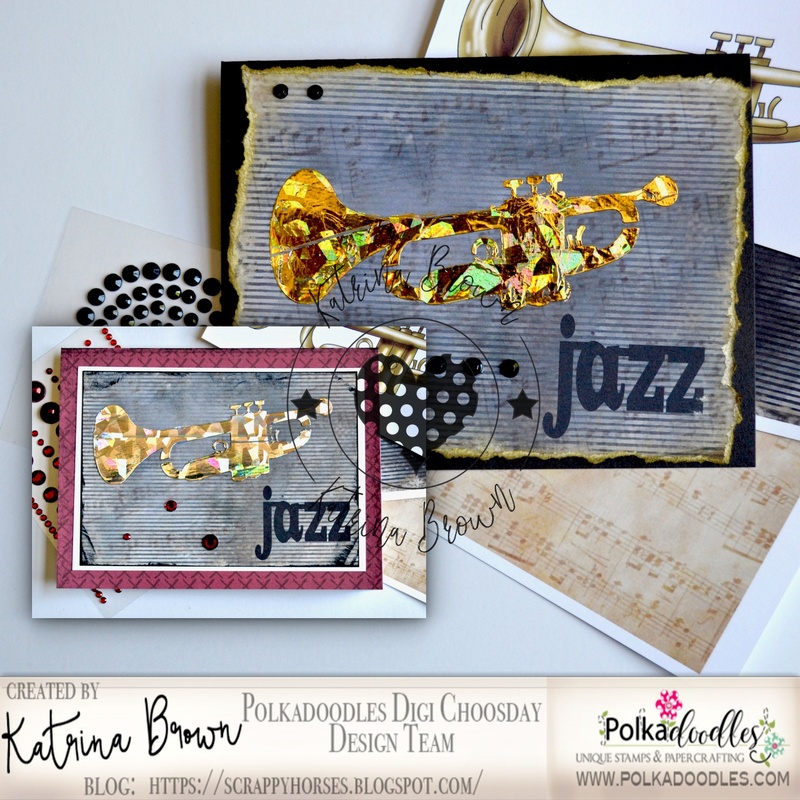 I fussy cut the image and layered it onto a tag from the same collection. The stars are die cut from papers in the collection as well. 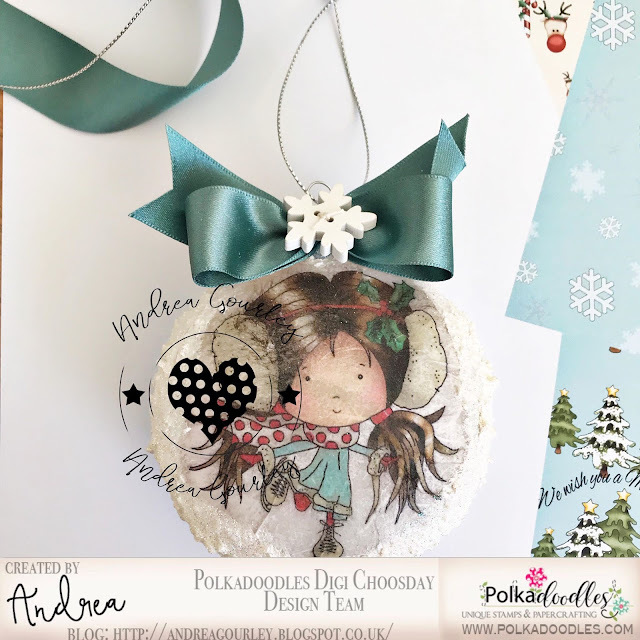 You need this one - the holidays will be here before we know it! 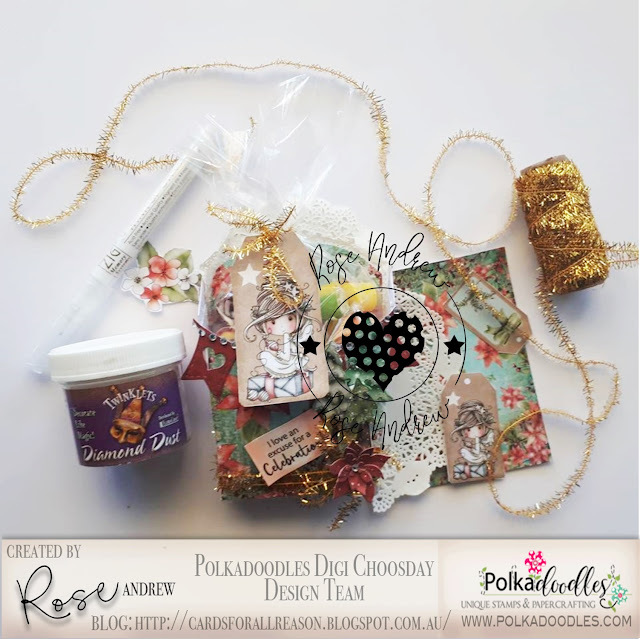 Julie Reed - I have made a little gift bag and Tag, using the lovely papers from Octavia Frosted Winter, the flower is also from this collection, fussy cut and edges with Stickles. Please email us HERE quoting DCW31001to claim your prize of 3 digi images from the digi store! 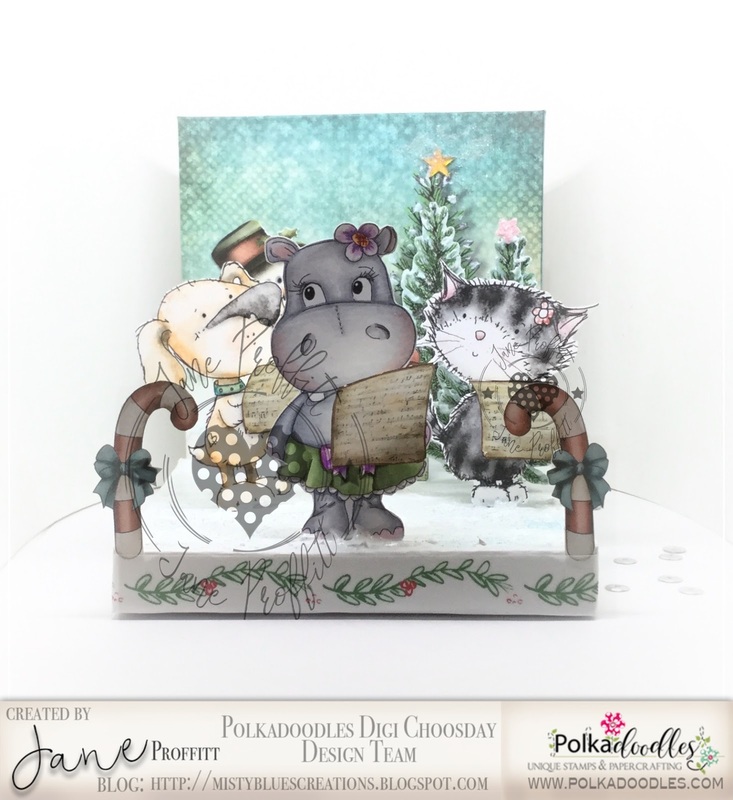 Don't forget to check out all our latest releases in store - we have lots of amazing Christmas lines now shipping - go check them out! YouTube - We are looking for anyone who is a YouTube addict and posts videos/tutorials regularly to be part of our YouTube team on an ongoing, permanent basis. Please email us HERE with your channel links and links to videos you have posted in the past 2 months and why you'd like to be on the team! 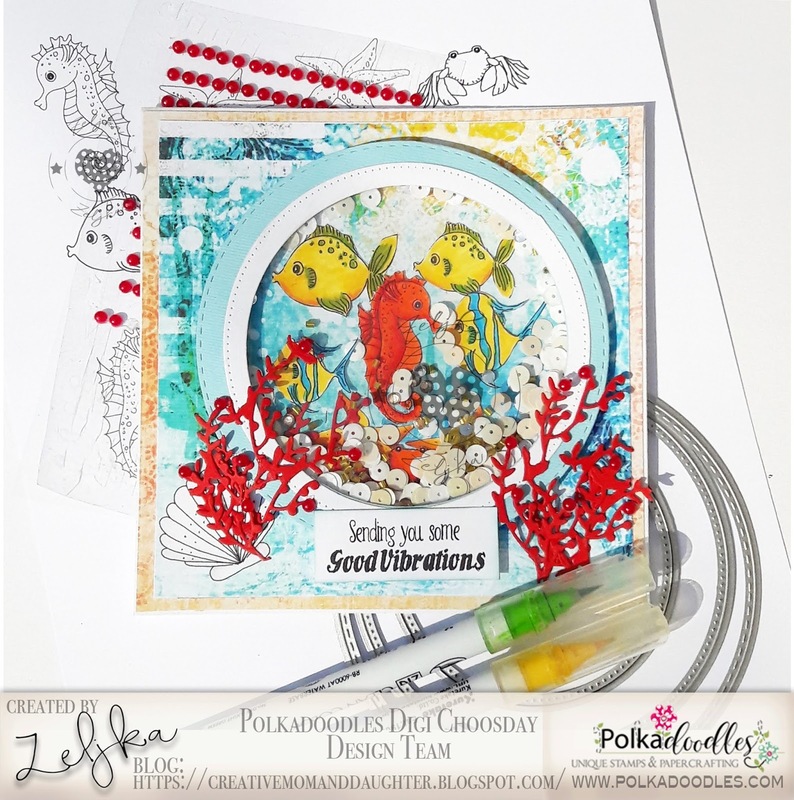 Cara This week I made my entire card using elements from the Winnie Starfish and Sandcastles Collection, doesn't she look so relaxed sitting there sipping her drink and catching the rays! Jane P -Winnie is on vacation this week playing with Starfish and Sandcastles at the beach. This collection is filled to the brim with everything you need to created hundreds of cards. Katrina ~ Ok, I know this might seem a bit odd for Summer Vacation theme, but you'll need to visit my blog for explanation! hee hee I've used Work and Play 8 Feel the Music and combined with paper from Winnie in Wonderland Paper Heaven 2/ Halloween Trick or Treat papers 1 to make these two cards. 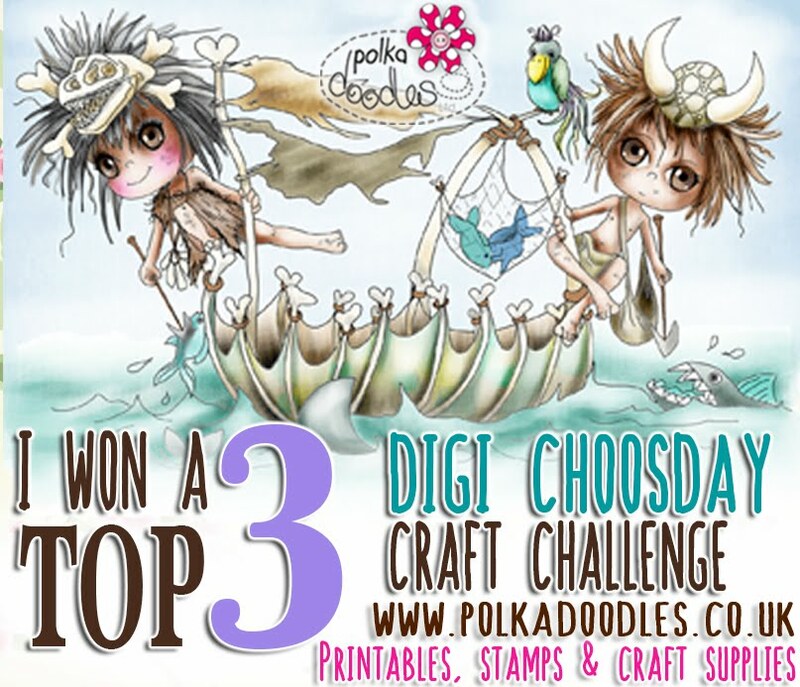 Please email us HERE quoting DCW30001to claim your prize of 3 digi images from the digi store!